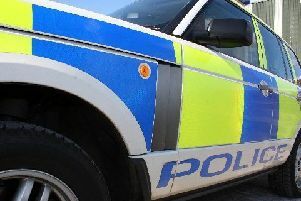 Police are appealing for information or witnesses regarding a possible bogus caller at a house in Cuiken Terrace, Penicuik on Tuesday morning. The male is described as being tall, skinny and smartly dressed and it is unclear if he had any identification on him. The male asked the occupier of the house he called on about his washing machine. If you have any information regarding this please contact police using the 101 system quoting incident number 1327 of 21/03/2018 or alternatively you can phone the anonymous Crimestoppers line on 0800 555 111. A police statement said: “Residents are reminded to always be vigilant with any unexpected callers to their addresses. Be aware of bogus workman activity. They may over charge for poor quality work to gardens, driveways and roofs. Always ask callers for ID, obtain a quote and use suitably qualified and recommended workmen.